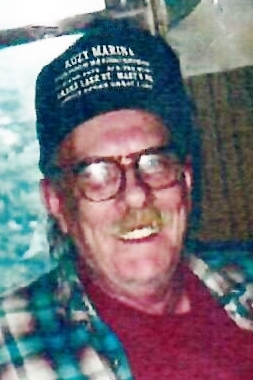 Russell Lee Kouts, age 79, a former resident of Celina, passed away Friday, September 14, 2018, at Briarwood Village in Coldwater, where he had resided for the last several years. Russell was born March 9, 1939, in Lewisburg, Ohio, a son of the late Jesse R. & Ella May (Shively) Kouts. Surviving are his sons: Michael & Angie Kouts of Leesburg, Florida, David L. Kouts of Port Clinton, Ohio, and Keith & Rhonda Kouts of Oak Harbor, Ohio. Russell had 11 grandchildren: Joshua Gardner, Eric, Curtis, Brandon, Dustin, Patrick, Mariah, Andrew, Joshua, Tyler and Chloe, and 14 great grandchildren: Quintin, Sierra, Kleah, Braydin, Blair, Emmi, Aniaha, Colin, Lainey, Kai, Harper, Benjamin, Carson and Lydia. Russell is also survived by a sister & brother: Ruth (Danny) Olinger of Lewisburg, Ohio and Robert (Gwen) Kouts of West Milton, Ohio, and sisters-in-law: Nancy L. Kouts of Brookville, Ohio, Jeanette Kouts of Florida, and Irene Kouts, Rowena Kouts, and Sharon Kouts of Lewisburg, Ohio. Russell was preceded in death by five brothers: Charles, Francis, Harold, Ralph, and Billy Kouts. Russell had been employed at Uniroyal and Textileather. Russell enjoyed Bowling, Bingo, Euchre, Poker, Camping, and enjoyed spending time with his family. A celebration of his life will be held at 12 Noon on Saturday, October 6, at the First United Church of Christ, 400 N. Main St., Lewisburg. Graveside Services will follow at 1:00 P.M., at Roselawn Cemetery in Lewisburg.